This Fire Warden course covers your duties under fire legislation, as well as looking fire prevention measures, the correct use of fire extinguishers, and how to organise a fire evacuation in a school. This Fire Warden Training in Education Programme has been written for designated employees within schools, colleges and other educational institutes. A complete in-depth Fire Warden e-learning course designed to equip you with the knowledge you need to become a fully trained Fire Warden or Fire Marshal in a school. This course provides everything you need to demonstrate competence in this designated role. This course is broken down into 5 easy-to-follow sections: the background of fire and how it spreads, preventing fire and the need for emergency plans, fire evacuation procedures, the extinguishers (and classes of fire) and the relevant legislation. Assigning Fire Warden duties to a responsible person in your school is a key part of ensuring good health and safety, and demonstrates a commitment to implementing sound emergency fire procedures. The Fire Warden Training in Education course is broken down into 5 sections. This section covers the basics - including how fire spreads through a building, the dangers of smoke, the causes and costs of fires in schools, how to reduce the risks of fire and understanding the meaning of different types of signs and where they should be placed. This section explains the role of the Fire Warden and the importance of a safe working environment, including the need for a fire emergency plan and fire evacuation plan. It explains what a fire risk assessment is and what it means to the Fire Warden. It looks at people who may be at particular risk, explaining what personal emergency evacuation plans are and who may need them. It includes a checklist for the Fire Warden. This section looks at human behaviour and how people react in fire-related situations – demonstrating how critical the role of a Fire Warden is. It explains the procedures the Fire Warden needs to follow to conduct a safe evacuation in a school and the importance of planning and conducting fire evacuation drills. 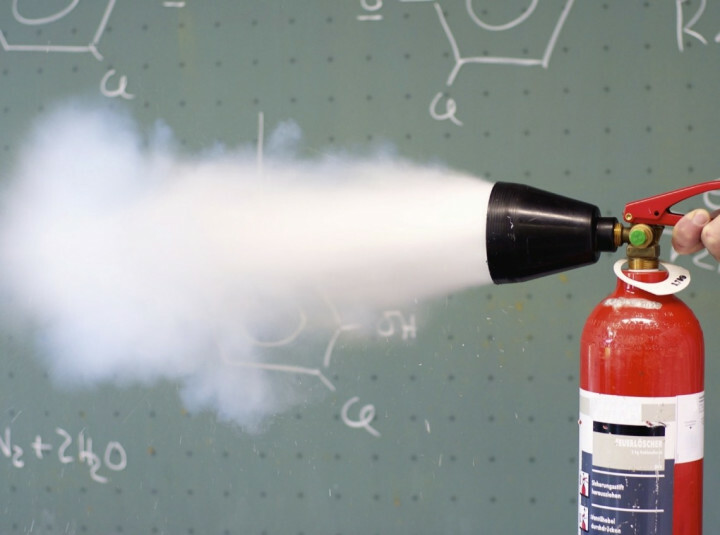 This section looks at and explains the different classes of fire, the different types of fire extinguisher and how to operate them – and which extinguishers to use on each class of fire. This Fire Warden Training (Education) course concludes with a 20 question multiple choice test with a printable certificate. In addition, brief in-course questionnaires guide the user through the sections of the training and are designed to reinforce learning and ensure maximum user engagement throughout. Your Fire Warden (Education) Certificate includes your name, company name (if applicable), name of course taken, pass percentage, date of completion, expiry date and stamps of approval or accreditations by recognised authorities. Based on 164 real user reviews. easy to use and very understandable . It was an eye opener to see everyone's reaction to the fire alarm! This mirrors the general public's attitude to burglar alarms! Asking questions about percentages/statistics of particular incidents isn't practical. It is interesting information to include and highlight in the training but knowing that statistic is not relevant to do the job of a fire warden. For instance, questions regarding the exact number/percentage of fires in schools caused by arson doesn't help a fire warden do their job. Asking a practical application which prevents or reduces the impact of arson would be though (e.g. how far away should rubbish/waste disposal be kept away from the main building?). On a driving test you wouldn't be asked the number/percentage of road accidents involving cyclists but you may be asked how much distance to give a cyclist when overtaking or what safety procedures you should carry out before attempting to overtake. The questions should have a practical application for a course of this nature. everyone should be made aware of this information and take notice. Well is very good but could be excellent with some additional practical videos and some life situation. I have been given instructions on what to do in the building in which I work in the event of an emergency. The completion of this 102-minute course has made absolutely no difference to my ability to carry out this task effectively in any way whatsoever. Read our full reviews for Fire Warden Training in Education. It is a legal requirement that your establishment appoints a Fire Warden (or 'Fire Marshal'). The Regulatory Reform (Fire Safety) Order 2005 clearly states that a competent person with the appropriate skills, knowledge and training should be present and capable of following the correct emergency procedures should they become necessary. Placeholder image for Fire Training for Schools: What Do I Need To Do? Fire Training for Schools: What Do I Need To Do?